Join the Oakland Triathlon Club now to take advantage of these discounts with our sponsors and more! Join Now! 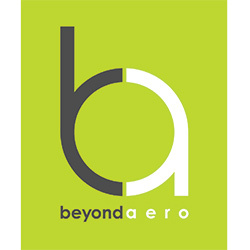 Beyond Aero is sharing their passion for the art of bicycles with discounts on products, services, fits, and other custom requirements perfect for cyclists and triathletes. Join OTC now to take advantage of these great deals! Innersport Chiropractic and Press Play Performance Lab are pleased to support OTC in our endurance and triathlon endeavors. Their goal is to keep us swimming, biking and running as long as possible with their sports medicine services, bike fits, run analysis, gait retraining, computrainer classes,and lactate testing. Rise Bodyworks is a comprehensive, integrated sports performance/rehabilitation/wellness center featuring chiropractors, trainers, massage therapists in a gym/clinic environment. They have both chiropractors and massage therapists fully certified in ART (Active Release Techniques). Please call 510-263-9162 for more information. As part of Sports Basement's Basementeer Program, OTC receives 10% off of all purchases, with 10% going back to the OTC Junior Program. Sign up today! OTC also regularly holds club parties at Sports Basement during which we get 20% off all purchases. Topo Athletic offers trail, road, and gym shoes. Some local stores that carry Topos are Transports, SF Running Company, a Runners Mind, Zombierunner, and REI Berkeley. TRANSPORTS is the East Bay’s premier running and swimming specialty store and has been proudly serving the Bay Area’s running and swimming community since 1982. TRANSPORTS is and has always been locally owned, independent, and owner operated.